CISDI can supply equipment spares to the original specification or apply the latest technology and improvements after discussions with the client. This allows us to provide the necessary equipment to the customer, allowing the optimization of the plant to their exact requirement. We are proud of our strong, long lasting relationships with customers, allowing us to work very closely alongside them, yielding excellent results. CISDI's engineering design team will discuss the equipment design with the client to optimise the design and apply the latest technology and improvements. CISDI's own workshop can supply equipment to the highest quality standards. The current Phase I and II workshops cover an area of 52 acres, including large fabrication, machining, assembly and testing workshops. 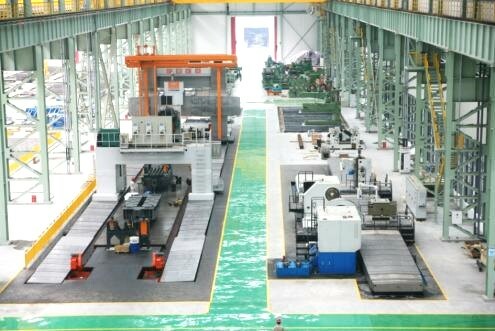 They are equipped with state of the art machines to handle the full range of steel plant equipment manufacturing. CISDI's close relationship with these suppliers and inspection team can ensure the quality of the equipment throughout the project.